I wouldn’t normally put something like this on the website but this is a Tasmanian blackwood icon. This is currently for sale on Ebay. A very rare, prized guitar! A fine sounding clear guitar, balanced, and the nice figured Tasmanian blackwood, heavier than Koa provides the best projection ever. I wish CF Martin would consider using Tasmanian blackwood again! A Martin OM-45 Tasmanian Blackwood from 2005. A stunning creation with highly figured Tasmanian blackwood (a relative of Hawaiian koa) and extensive abalone pearl trim; tasteful torch inlay on the headstock; engraved gold-plated tuner buttons; label signed by C.F. Martin IV. This is essentially the same model as the above but with more bling for your buck. Again another super premium guitar from CF Martin. Only 29 of these were made. Two incredible rare Tasmanian icons currently on the market. I’m not sure why Martin guitars don’t use Tasmanian blackwood more often. These guitars seem to get a lot of praise and attention in the marketplace. I just stumbled across this today on the internet. Santa can drop one of these off at my place this Christmas if he’s feeling generous (I really do promise to be good….). There’s no way as a forest industry volunteer that I’m ever going to be able to buy one. 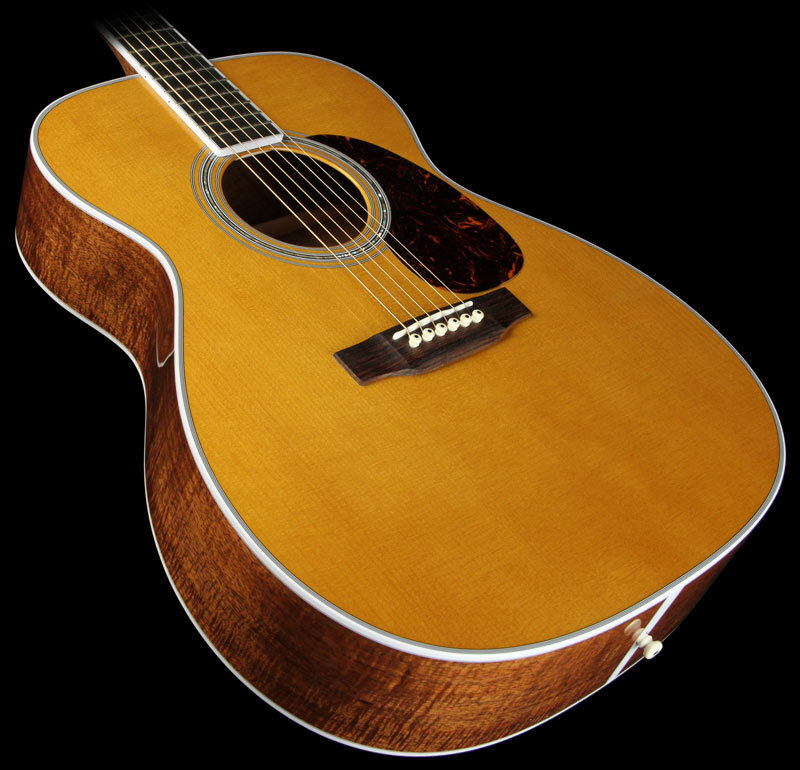 C.F.Martin is the prestige acoustic guitar company in America. This is Tasmanian blackwood appearing at Carnegie Hall; the very pinnacle of the timber value adding mountain. Martin has used Tasmanian blackwood occasionally in the past but it has been a while. The last examples that I’m aware of were beautiful OM-45 and D-42 models produced about 10 years ago. And then today I found this absolute beauty. 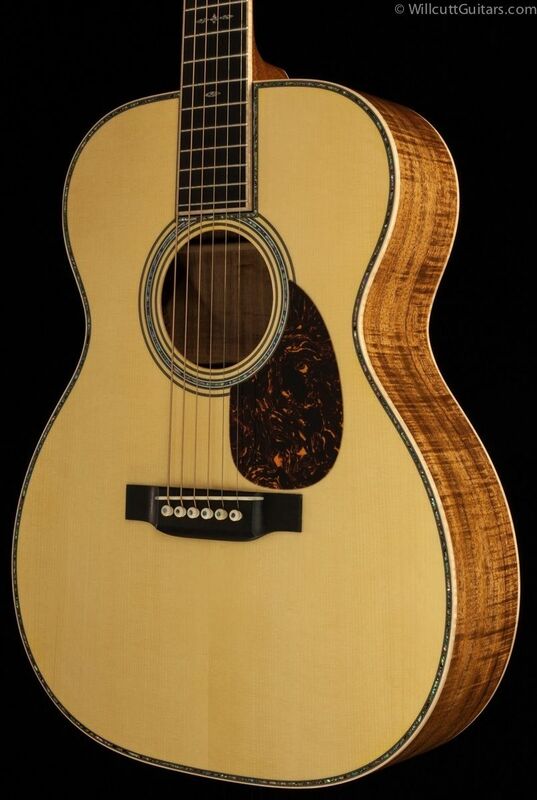 It is a Martin Custom Shop 018-T-Tasmanian Blackwood. 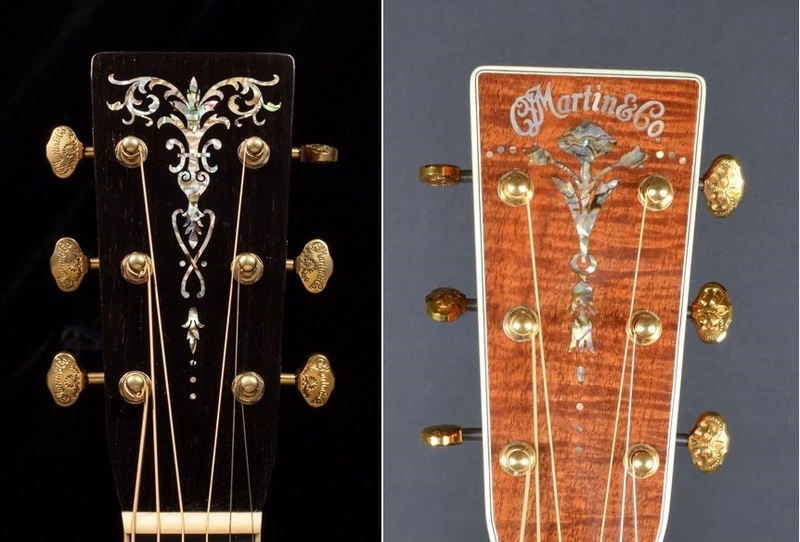 Size “0” is the baby in the Martin family, while the “18” denotes a moderate degree of decoration (compared to the above “OM-45” that is literally dripping with bling). This custom baby model is only available at Music Zoo in Roslyn, New York. Check it out! Baby Martin size “0” guitars are relative rare these days. They were common years ago, being introduced during the Great Depression to help boost sales at Martin Guitars. Martin also makes a custom order “0” in all solid mahogany including soundboard, which is another beautiful guitar. But I would happily sit this blackwood baby on my lap for a strum. But all that Tasmanian promotion and marketing potential is being wasted. Tasmania is not internationally renowned as a reliable producer of sustainable profitable quality tonewood. To date most of the international commercial relationships have been short lived, difficult affairs, not to mention the local politics and conflict. We have the potential to once again walk the stage at Carnegie Hall with our quality profitable sustainable blackwood tonewood. To date there appears to be little interest here in Tasmania. Such a wasted opportunity.